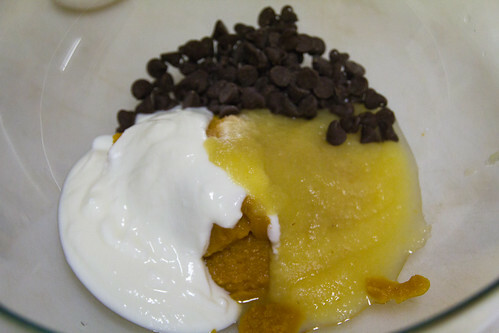 I love testing out new ingredients. It’s like getting a new toy as a kid, except way better because you get to eat it! I’ve never been a fan of cardamom, but I’m a firm believer that certain things taste better when they’re prepared certain ways. For instance, I absolutely adore raw carrots, but I cannot stand them cooked. Weird, no? I wanted to see if cardamom could be used in a way that I would enjoy. In this corner, the dry ingredients! And in this corner, the wet ingredients! 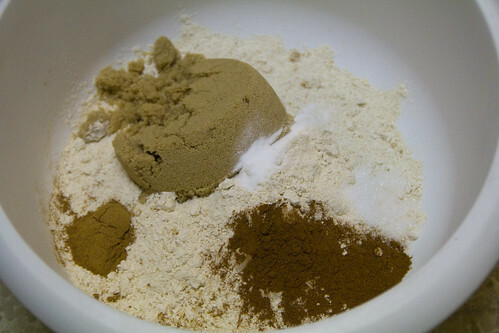 Sift the dry, mix the wet, and then add wet to dry. 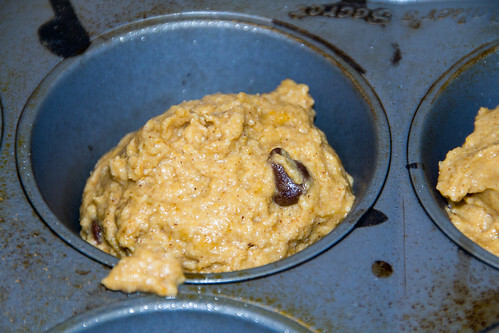 At this point I sprayed the muffin tins, and then dropped half the batter into six muffin cups. To the remaining dough, I added a 1/2 teaspoon of cardamom, mixed gently, and then filled the rest of the muffin cups. The oven was already preheated to 350F, so I popped them in the oven for 25 minutes. The muffins weren’t quite done after 25 minutes, so I gently removed them from the tin and set them onto a stoneware pan. I put them back in the oven for 10 minutes, and then let them cool. 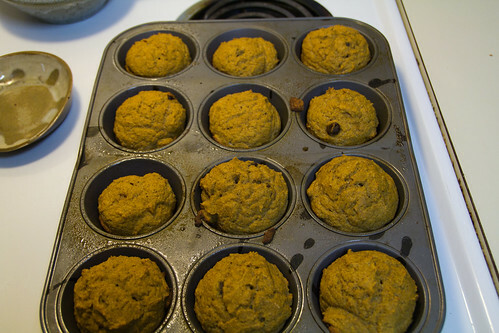 The stoneware let the muffins finish baking on the inside without burning the bottoms. My thoughts on the cardamom–I’m still not a fan. A half teaspoon was waaay too much for a half batch. (The only reason I didn’t do two batches–one with cardamom and the other without–is because I didn’t have enough eggs at the time.) 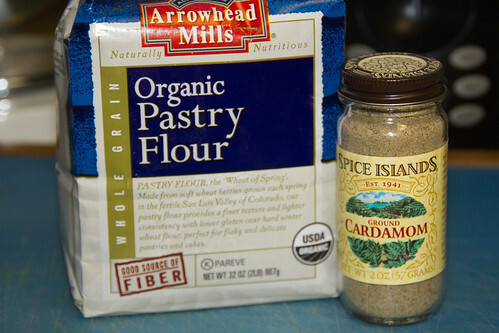 If I were to do this recipe with cardamom again, I think that 1/4 teaspoon would go a long way. The other problem with the cardamom is that it’s really expensive. Really! It was $11.39 ON SALE for a 2 oz jar. If you’re not sure you are going to like it, I’d recommend finding someone who’s willing to share before you buy your own. The only reason I was willing to go all in is that my husband is a huge fan of cardamom, and I’m sure that we’ll find some way to use it up. Maybe I’ll even find a recipe that I’ll like! How do you feel about cardamom? If you live in Missoula, have you ever tried the cardamom ice cream from Big Dipper? I’m told it’s wonderful.